ONCHAN, Isle of Man – February 7, 2016 – Even more key dates and schedules of PokerStars Championship and PokerStars Festival stops in 2017 have been announced today by PokerStars, an Amaya Inc. (Nasdaq: AYA; TSX: AYA) brand. After debut events in New Jersey, London and the Bahamas, PokerStars Championship and PokerStars Festival 2017 will also visit Panama and the Czech Republic in March, South Korea, Macau and Monaco in April, Chile in May, Spain in June and August, the Philippines in July, and Uruguay in September, with more stops to come. Having travelled to London, Rozvadov and Panama, PokerStars will then head to Latin America with the first PokerStars Festival in Chile from May 20 – 27, 2017. Set in the picturesque ‘Garden City’ of Vina del Mar within the beautiful Vina del Mar Hotel & Casino, players can look forward to eight days of intense poker action with a schedule of tournaments to suit every bankroll. Last year the Latin American Poker Tour (LAPT) Chile attracted 565 entries and this year’s new Festival event is expected to become even bigger. Players can satellite into the PokerStars Festival Chile Main Event from March 6 on PokerStars.com. Find more information about PokerStars Festival Chile including the full schedule of events at: http://psta.rs/2kJ8qxK. The PokerStars Festival continues on its journey through Europe and heads to Spain for what promises to be another massive event at the Casino Marbella from June 19-25, 2017. Located meters away from the sun-drenched beach, Casino Marbella is always a popular tournament destination, and the city always attracts hundreds of poker players and tourists alike. 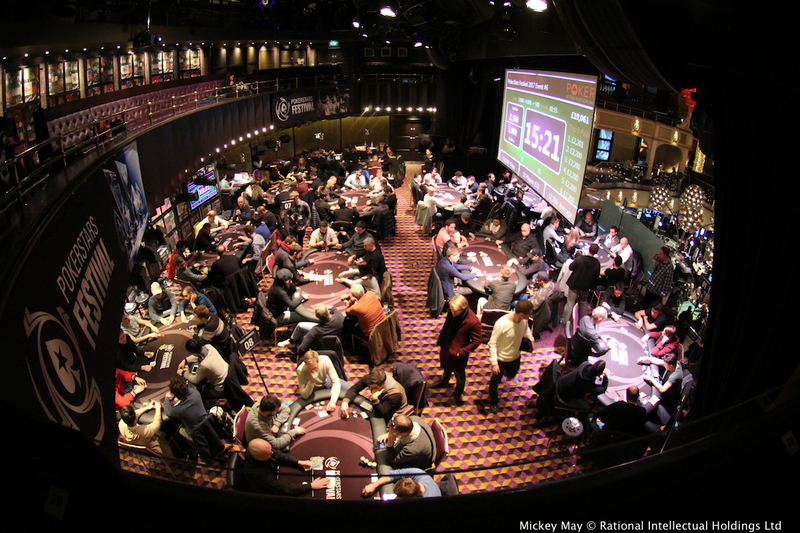 Last year, UK and Ireland Poker Tour (UKIPT) Marbella combined with Estrellas attracted 844 entries. Players can satellite into the PokerStars Festival Marbella Main Event from April 9 on PokerStars.com. As well as exciting action at the tournament tables, all Main Event players can benefit from a range of activities whilst also enjoying the pool-side players’ party and Marbella’s famous nightlife. Find more information about PokerStars Festival Marbella including the full schedule of events at: http://psta.rs/2kEnlcX. The first PokerStars Festival in Asia will take place in Incheon, South Korea from July 14-24, at the newly opened Paradise City, Incheon complex. Incheon, which lies 36km west of Seoul, is South Korea’s third largest city and is a modern metropolis. While the city is expanding rapidly, it still retains several historical parts such as colourful Chinatown and the Open Port areas. The schedule for PokerStars Festival Korea will be announced soon. Find more information about PokerStars Festival Korea at: http://psta.rs/2leCmj0. PokerStars Festival Manila is to be held at the ‘PokerStars LIVE at City of Dreams Manila’ venue from July 28 to August 7. PokerStars Live ran its first event in Manila in 2007 and it quickly developed into an Asian poker hub. Since the opening of the PokerStars LIVE Manila venue in 2014, the poker room has hosted the biggest and richest events in the Philippines along with action-packed cash games every day of the year. Last year the Asia Pacific Poker Tour (APPT) attracted 577 entries and this year’s event is expected to become even bigger. Manila, also known as the ‘Pearl of the Orient’, is the capital city of the Philippines and has an exciting mixture of Oriental heritage, beautiful tourist spots, artisan markets, modern shopping malls, edgy art galleries and lively music venues. PokerStars LIVE Manila offers 14 cash game tables with a wide range of limits to accommodate every type of poker player. Players can satellite into the PokerStars Festival Manila Main Event from May 21 on PokerStars.com. Find more information about PokerStars Festival Manila at: http://psta.rs/2jSywzj. The final Latin American stop of 2017 heads to the stunning resort city of Punta del Este for the PokerStars Festival Uruguay. The luxurious Conrad Hotel & Casino plays host to the event and with a variety of tournaments on offer, no player should miss out on the action. Find more information about PokerStars Festival Uruguay including the full schedule of events at: http://psta.rs/2kEhBQq. The PokerStars Championship, sponsored by PokerStars, is the world’s biggest poker tour. Bringing together some of the world’s most exciting and prestigious poker tournaments, the PokerStars Championship incorporates some stops previously part of the European Poker Tour, North American Poker Tour, Latin American Poker Tour and Asia-Pacific Poker Tour. Collectively, these events have paid out well over $1 billion in tournament prize pools globally on five continents since 2004. Confirmed PokerStars Championship stops for 2017 include the Bahamas, Panama, Macau, Monte-Carlo, Barcelona, with more stops to be announced in the coming months. PokerStars Festival events, sponsored by PokerStars, are mainly tailored for recreational players and incorporate some stops previously part of the UK & Ireland Poker Tour, France Poker Series, Italian Poker Tour, Estrellas, Eureka, Asia-Pacific Poker Tour and Latin American Poker Tour. Confirmed 2017 PokerStars Festival stops are Rozvadov, Korea, Chile, Marbella, Manila and Uruguay with more stops to be announced. PokerStars Championship and PokerStars Festival poker tour brands are ultimately owned by Amaya Inc. (Nasdaq: AYA; TSX: AYA). Further information on the PokerStars Championship and PokerStars Festival is available online at http://psta.rs/2bvr4Vb.